In this lesson I'm going to show you what guitar 2 plays in the intro of this song. 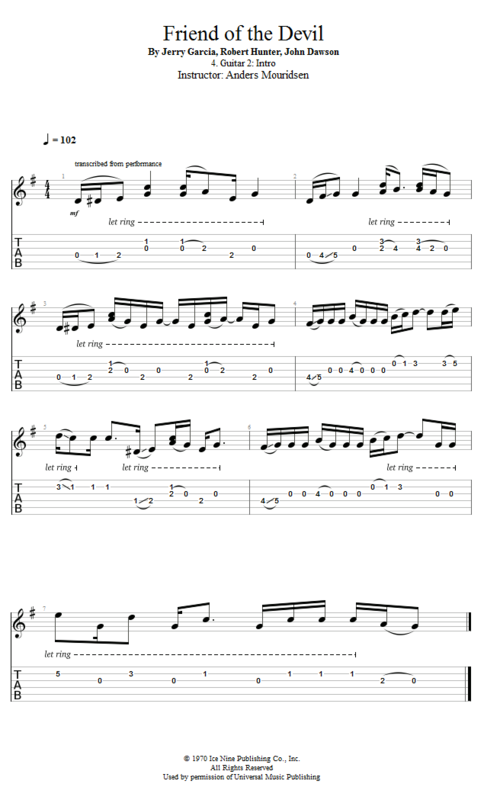 We'll be playing in the same open position, but this part goes up against, into and out of guitar 1's part with the descending line in an almost classical manner. This kind of sound can be referred to a as "counter point", and it's a powerful sound.